Reality will never be the same. Facebook founder and CEO Mark Zuckerberg announced that the company plans to invest more than $3 billion in the next 10 years to make virtual reality (VR) available on the platform, the New York Times reports. The “announcement” was made in the unlikeliest of situations: while Zuckerberg was testifying in federal court as part of a $2 billion intellectual property lawsuit between ZeniMax Media and VR giant Oculus. 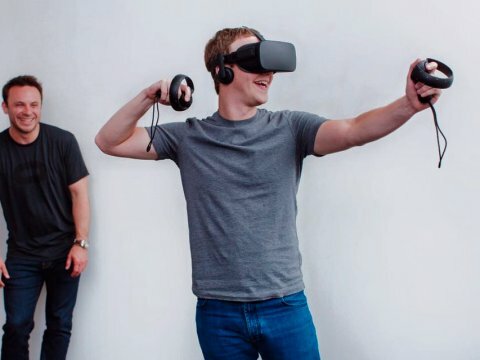 Facebook’s acquisition of Oculus in March 2014 for $2 billion was the first step in Zuckerberg’s VR play. Since then, his social networking company has been working on ways to make VR available on its platform, beginning integration in March 2016 despite skepticism from Oculus co-founder Palmer Luckey. Since then, not much has been said about the project, except for the occasional demonstration and those VR emojis. Zuckerberg’s dreams of VR for everyone — everyone on Facebook, that is — could actually be a step in the right direction. While VR devices were initially built around gaming technology, applications have long since expanded into other fields. VR is changing medical research, military training, and so much more. But essentially what virtual reality is doing is letting us see and interact with the world differently — be it by wandering Google Earth, viewing forests from an animal’s point of view, or even just test driving our future kitchens.